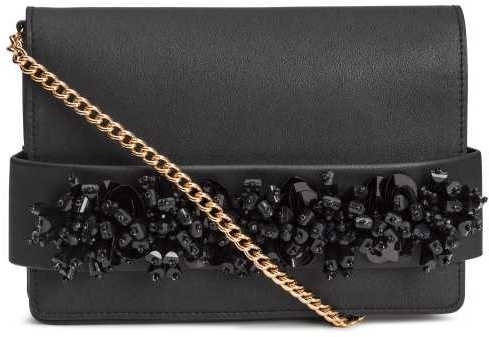 Clutch bag in thick faux leather with a beaded strap at front. 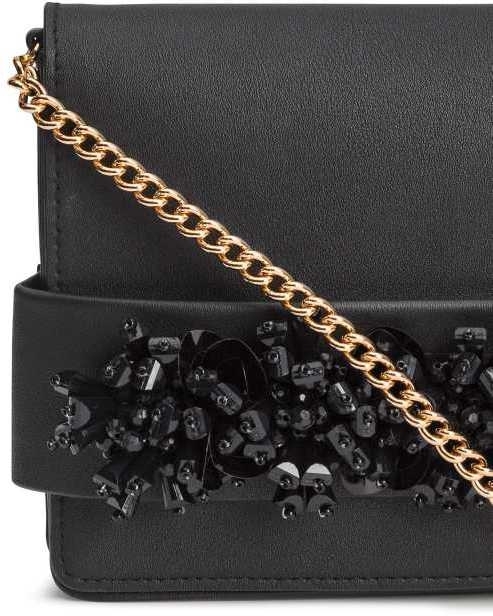 Flap with magnetic fastener, metal chain shoulder strap, and one inner compartment with zip. Lined. Size 1 1/2 x 5 1/2 x 8 1/4 in.